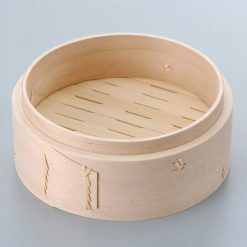 This is a steamer basket for Small Chinese steamer set. 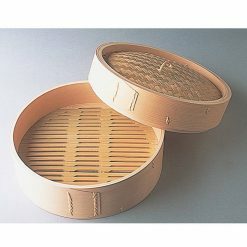 You can add this steamer to Chinese steamer set you already have so you can steam more food at once (You should not use more than 3 baskets at once. Otherwise, food won’t get cooked) or you can replace your old basket with this. This doesn’t include a lid.